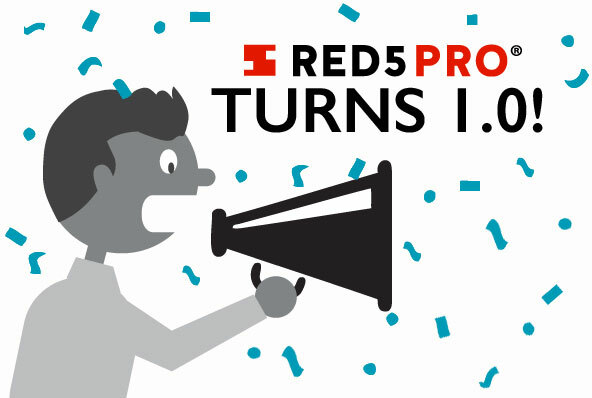 Red5 Pro 1.0 – It’s No Joke! I know what you are thinking. We probably couldn't have picked a worse day (April Fools Day) to release. But we aren’t letting that stop us. While Google literally and figuratively dropped the mic today, we instead have actually improved the mic with echo cancellation for Android. Not only that, we've improved performance on both iOS and Android and fixed a ton of bugs. We also did a bit of dropping our selves. We dropped the CPU usage down on both iOS and Android by 85% which improves battery life and heat issues. While there aren’t a lot of new features in this release, there are so many stability and performance gains we thought this one warrants the name 1.0. We encourage you to update your apps to use the latest server and SDKs so that you can benefit from these huge gains. Get the new releases by logging in here. Our Github examples have all been updated with the latest SDKs. As always, we can’t wait to see what you do with Red5 Pro. Feel free to reach out to us if you have any questions. Happy Coding and good luck with the pranks today! Fixed bug for round robin clustering in autoscaled appliances.